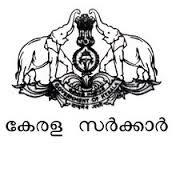 SEVANA - Kerala Govt's Online Portal to Download Birth Registration Certifcates, Death Registration Certifcates, Hindu Marriage Registration Certifcates and Common Marriage Registration Certifcates. 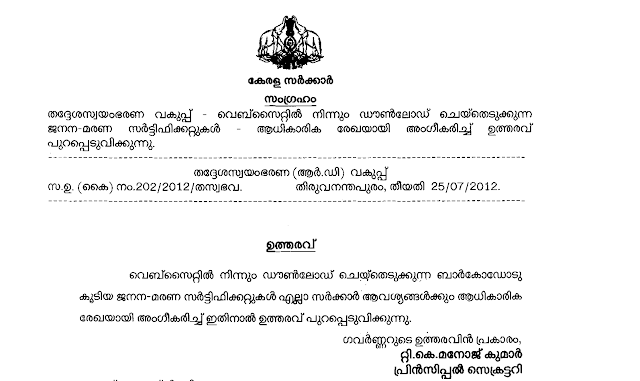 On 25th July 2012 Kerala state govt has issued order ( Ref No: 202/2012/തസ്വഭവ.) allowing civilians under its Jurisdiction of using downloaded copies of Birth , Death and marriage registration certificates from Governments Local Self Governing (RD) department (SEVANA) website. On respective form enter the required data and submit, the will load a popup window with summary Information. Click on "Print" botton to download the Registration certificates.